Where can I get help so that I don't lose my home? 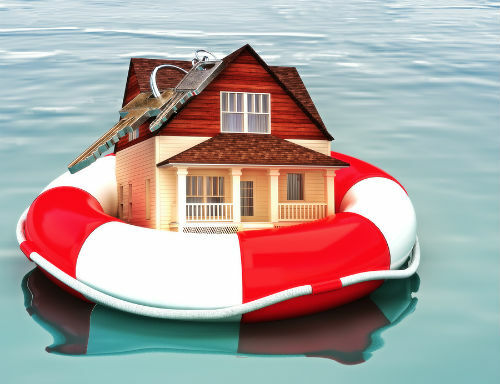 Where Can I Get Help So That I Don’t Lose My home? A: If the bottom line is that you are trying to save your home and you’re committed to filing bankruptcy protection in order to do that, you need to file a Chapter 13 bankruptcy filing which will in fact, stave off foreclosure and put some of your creditors, including your credit card issuers and mortgage lender, at bay. You also need to be realistic about your overall finances. You said that your husband lost his job. You didn’t indicate, however, if you’re actually working. Often times, when we get into tough financial situations, the tendency is to want to hold on to everything that we’ve had in the past, i.e. the home or perhaps some other lifestyle things that you might have been spending money. If it’s in fact the case that you are committed to the bankruptcy filing and you’re going to do that, or you want to do that, in order to save your home, again you need to pursue a Chapter 13 bankruptcy filing. That’s the one that would allow you to not be foreclosed upon and you should reach out for help through a HUD-certified credit counseling or mortgage counseling agency.